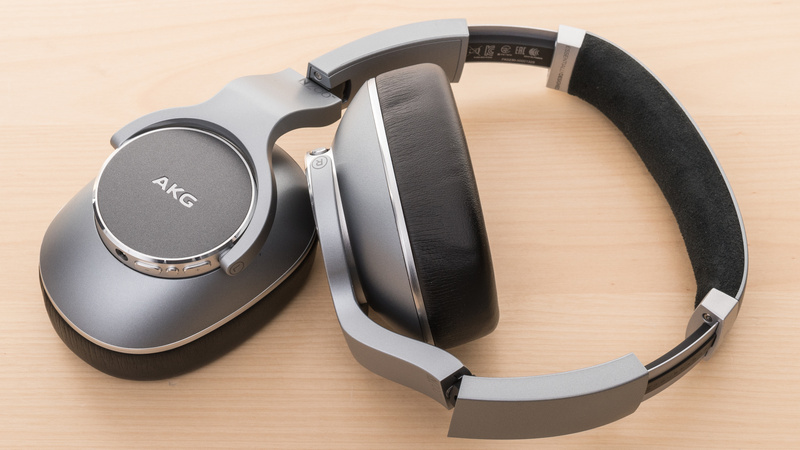 The AKG N700NC are decent mixed-usage wireless noise canceling over-ear headphones. They have a premium look and feel well-made. They have great audio reproduction and a decent ANC performance, making them a decent choice for commuting. Unfortunately, they have high latency which is not ideal for watching videos, but can be used wired to get rid of it. On the upside, they have a good battery life and are fairly versatile headphones for everyday casual use cases. Can be a bit tight on some heads. Update 12/5/2018: We've updated the Bluetooth connectivity data from Bluetooth 5.0 to 4.2. 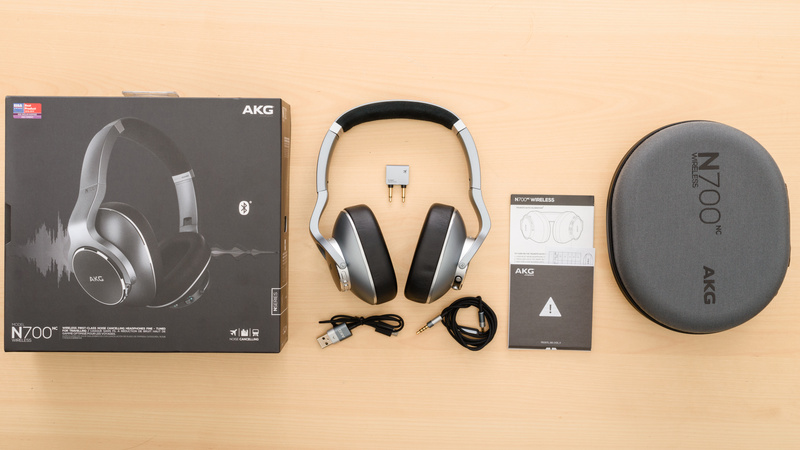 The AKG N700NC are well-designed wireless headphones that have a premium feel and a comfortable build. 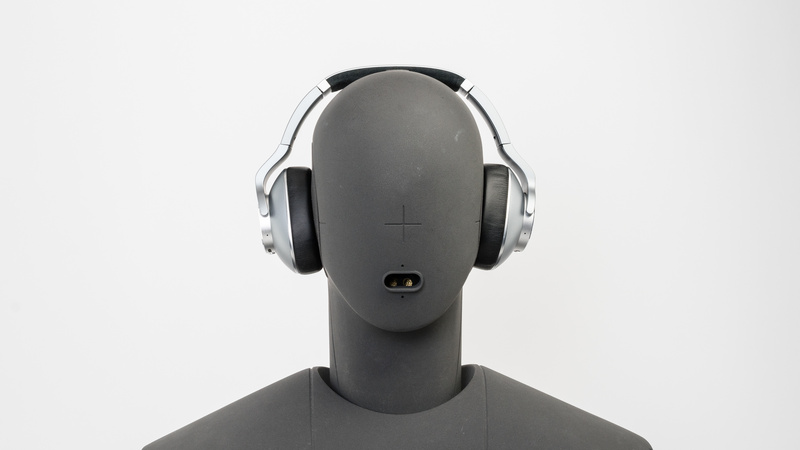 They feel and look high-end, the ear cups are well-padded but may not be large enough for all ears. However, they do have a slightly odd design with the headband hinges curving away, making the headphones bulkier and wider. They have a decent control scheme but won’t be the best option for sports because of their over-ear design. On the upside, they can be used passively with the included 1/8” TRRS audio cable. These headphones have a high-end look, and a premium feel. The headband has a slightly odd shape with curved hinges which hold the ear cups, making the headphones wider. The cups are dense and have thick padding, but they only come in a silver finish and don’t offer any color variety to suit your preferred style. The AKG N700NC are comfortable headphones thanks to the good padding on the cups and headband. They aren’t too tight and don’t put too much pressure on the head. 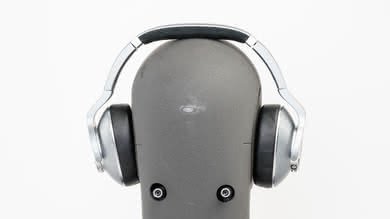 However, they do feel heavier than similar over-ear headphones. The cups are fairly deep but aren't very large, which should suit most ears, but might squeeze bigger ears a bit. The control scheme of the AKG N700NC is decent. You get access to common functionalities like play/call management, volumes buttons, talk-through modes, and the power/pairing slider. The buttons are decently easy to use and provide great feedback. You also get audio feedback for play/pause, max/min volume and track skipping, but not every time you change your volume, which is nice. Like most over-ears, the AKG N700NC trap some heat under the ear cups and get warmer than typical in-ears. They create a decent seal around your ears, so there’s not much airflow and might make you sweat a bit more if you use them for sports. This shouldn’t be a problem for casual listening, especially if you take breaks here and there. The AKG N700NC aren’t the most portable headphones since they are bulky over-ears. However, they do fold into a more portable format so that you can fit them in a bag or the included case. If you want to wear them around your neck while not using them, the cups also swivel to lay flat. For a more premium build, check out the Audio-Technica ATH-DSR9BT. 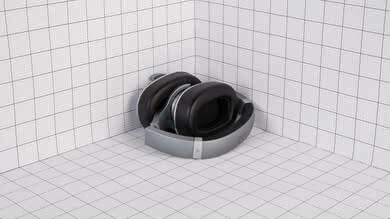 They come with a great hard case that should protect your headphones against scratches, water exposure, and impacts. The case feels fairly solid but does add a bit of bulk and make it harder to store the headphones away. On the upside, the inside of the case is molded with a plastic divider to fit the headphones, which could help protect them a bit more. The AKG N700NC have a good build quality, and when handling them, you feel like holding premium headphones. They are made of thick plastic, and the headband is reinforced with a thin metal plate. The headphones feel heavier than average but are fairly flexible. The padding on the cups and headband feels comfortable, but the leather fabric might wear over time. They are stable enough for light running but won’t be ideal for more intense workouts or sports because of their bulkier design, but they are fairly tight on the head. Since they are wireless, you don’t have to worry about a wire getting stuck on something and pulling the headphones off your head. These headphones come with a USB to micro USB charging cable, but also a 1/8” TRRS audio cable to use the headphones passively, even if the battery is dead. 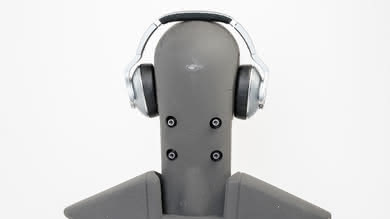 The connection that attaches to the headphones is a 1/16” TRRS. An airplane adapter is also included in the box. The AKG N700NC is a good sounding pair of closed-back over-ear headphones. They have an excellent, deep, punchy, and consistent bass, a flat and even mid-range and very good treble range. However, they could sound a bit bright in the treble range on already bright tracks. Overall, they are suitable for a variety of genres from bass-heavy to vocal-centric music. However, like most closed-back headphones they don’t have a speaker-like soundstage, but on the upside, they perform consistently across different heads and re-seats. The AKG N700NC have an excellent bass response. Their low-frequency extension (LFE) is at 10Hz, which is great. The entire range is flat and well-balanced, which results in a neutral bass with great low-bass for thump and rumble common to bass-heavy genres like EDM and hip-hop. Mid-bass, responsible for the body of bass guitars and the punch of kick instruments is also flat and within 1.5dB of our target, which is great. Overall, the bass range is excellent, punchy and deep. The mid-range performance of the AKG N700NC is excellent. The response is throughout the range even and flat, and within 1.5dB of our target which is great. This results in accurate reproduction of vocals and lead instruments. The treble performance is very good. It is rather uneven, but fairly flat across the whole range. However, it is over our neutral target curve by about 3dB, which could make the sound a bit too bright and sharp. This would be mostly noticeable on vocals, lead instruments, and cymbals. Overall, they sound good and still have a great treble range. The AKG N700NC have great frequency response consistency. In the bass range, they seem to be using the ANC feature to check for seal and ensuring a proper bass delivery. Even people wearing glasses should get excellent bass results. In higher frequencies, they are also consistent across different re-seats below 10KHz. 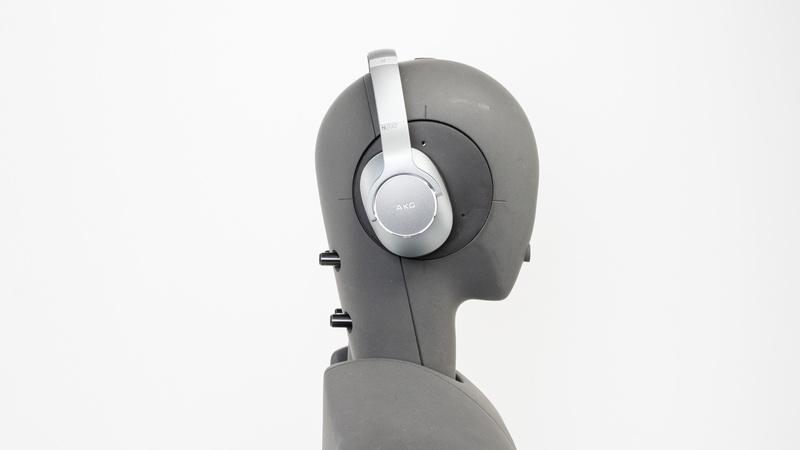 The AKG N700NC have excellent imaging. Their weighted group delay is 0.28, which is great. Also, according to the graph, their group delay is almost all below the audibility threshold. This results in tight a bass reproduction and a transparent treble. Additionally, the L/R drivers of our test unit were exceptionally matched in amplitude, frequency and phase response. This ensures an accurate placement and localization of objects (voices, instruments, footsteps) in the stereo image. The soundstage performance is sub-par. The PRTF graph shows a good amount of ear activation and interaction, but it's not very accurate, and there's not a 10KHz notch present either. This and the closed-back design of these headphones results in a soundstage that is perceived to be located inside the listener's head. The harmonic distortion performance is average. The overall amount of harmonic distortion produced is relatively high, especially in the mid-range. This could make the sound of these headphones a bit impure. However, there is not a big rise in THD under heavier loads, especially in the bass range, which is good. The peaks at 4-5KHz could make the treble of these headsets harsh and brittle, which could be fatiguing over a long listening session. The isolation performance of the AKG N700NC is above-average and should be a decent choice for commuting and office use. They don’t isolate as much noise as premium headphones like the Sony WH-1000XM3 or the Bose QuietComfort 35 II, but they still reduce ambient noise quite a bit. Unfortunately, they tend to leak a bit at higher volumes, but if you’re just looking for a background track at work, you shouldn’t bother your colleagues. The AKG N700NC have an average isolation performance. The active noise cancelation achieves an average 10dB of isolation in the bass range, which is important for canceling out airplane and bus engine rumbles. However, they achieve 17dB and 34dB of isolation in the mid and treble ranges respectively which is good. This indicates good isolation performance for speech and sharp sounds such as S and Ts. The leakage performance of the AKG N700NC is average. 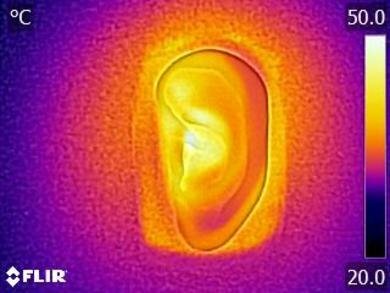 Most of their leakage is in the mid-range, between 400Hz and 5KHz, which is fairly broad. So, although the overall level of their leakage is not very loud, people around you will be able to hear your music if you blast it, even in moderately noisy places like a bus. They should be fine to use around an average office at moderate volumes without disturbing colleagues. The AKG N700NC have a mediocre microphone. In quiet environments, speech recorded or transmitted with this mic will sound relatively thin, noticeably muffled, and lacking in detail. In noisy situations, it will struggle to separate speech from ambient noise, even in moderately loud environments such as a busy street. The recording quality of the N700NC's microphone is mediocre. The LFE of 269Hz results in a recorded/transmitted speech that is relatively thin. The HFE (high-frequency extension) of 3KHz results a speech that is muffled and lacks detail. However, it should be noted that this a limitation of Bluetooth protocol which limits the HFE of all microphones to around 3.5KHz. The integrated mic is mediocre at noise-handling. 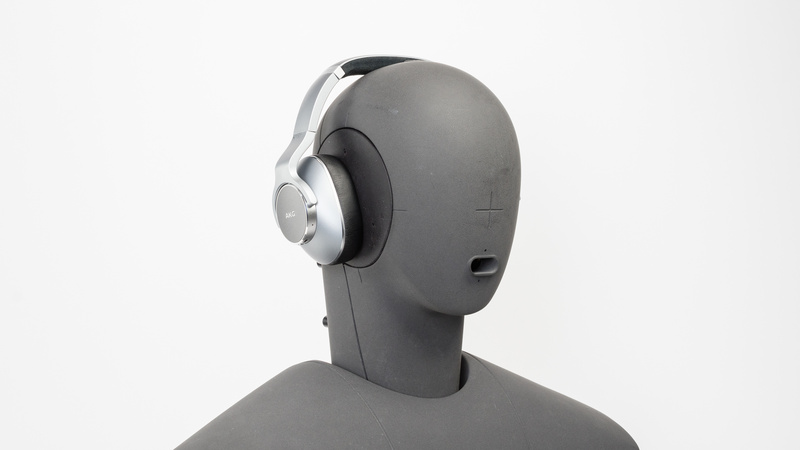 In our SpNR test, they achieved a speech-to-noise ratio of 12dB, indicating they are best suited for quiet environments and will struggle to separate speech from ambient noise in moderate and loud situations. The AKG N700NC have decent battery life and come with a compatible app, which doesn’t offer many customization options, but still has an EQ. For more casual listeners, 18 hours of playback time should last a few days without a problem. The compatible app itself is simple, comes with a good parametric EQ, but no presets and no ANC control, which is disappointing. They have good battery life with about 18 hours of continuous playback with Bluetooth and ANC on and take about two and a half hours to charge fully. According to AKG’s specs sheet, you can use the ANC feature for up to 36 hours if you use the headphones wired. You can also use them passively with the provided 1/8” audio cable, even if the battery is dead, which is convenient. You can also activate the auto-off timer in the compatible app to save more power. Our test result is lower than the advertised number for battery life. We plan to re-test them and will update the review if the new number is significantly different. 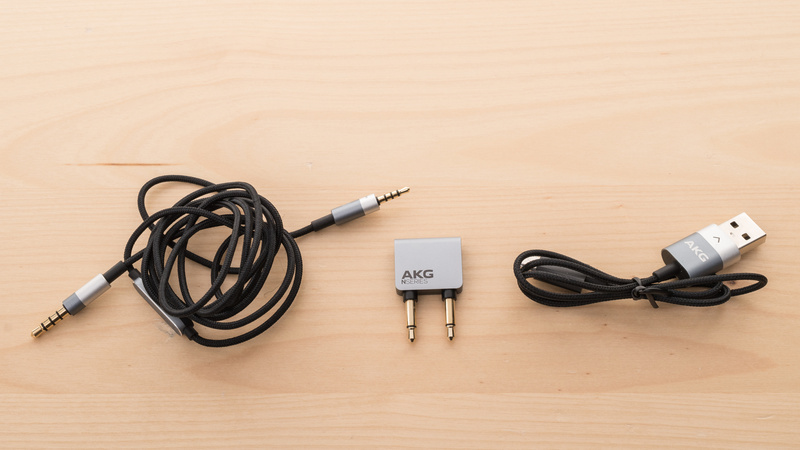 The AKG N700NC are compatible with the AKG Headphone mobile app, which doesn’t offer a lot of customization. You get access to a simple parametric EQ, but no presets and you can’t control the level of noise canceling in the app, which is disappointing. You can switch between ambient mode and talk-through mode, but can’t fully disable ANC. You can also enable an auto-off timer to save battery life when you’re not using the headphones. 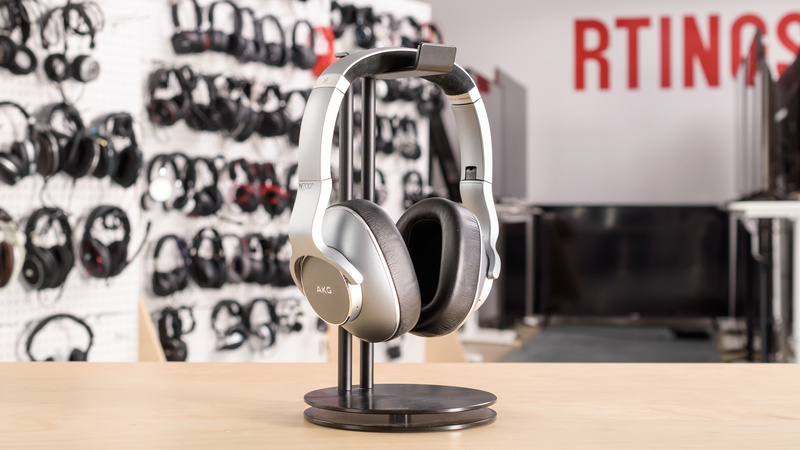 The AKG N700NC are wireless headphones that can also be used passively with the included 1/8” TRRS audio cable. You can still benefit from the noise canceling feature if you use the headphones wired and if the battery isn’t dead. Unfortunately, they don’t have NFC support and have high latency, but they can't connect to multiple devices simultaneously which would be convenient if you often switch between a computer and a phone. Update: 05/12/2018: We've updated the Bluetooth version from Bluetooth 5.0 to Bluetooth 4.2 as displayed in the AKG N700NC spec sheet. These headphones, unfortunately, do not have NFC for quicker and easier pairing, and they can't connect to multiple devices simultaneously which would have been convenient. You can use these headphones passively with the provided 1/8” TRRS audio cable, even if the battery is dead. You won’t be able to use the ANC feature if the battery is dead. The cable is compatible with consoles for audio and microphone support. However, track skipping backwards with the in-line button doesn’t seem to work on certain Android phones, but does on some. The AKG N700NC do not have a base/dock. If you want a versatile headset with a base that you can also use wired, check out the SteelSeries Arctis 7. 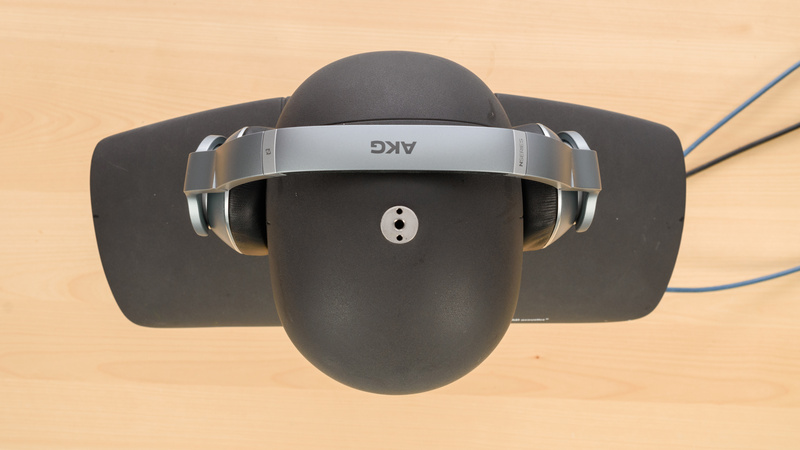 The obstructed wireless range of the AKG N700NC is amazing, but line of sight is not so great. They should be good enough for most activities especially if you keep your phone in your pocket but have enough range for a fixed Bluetooth source like a PC or TV. 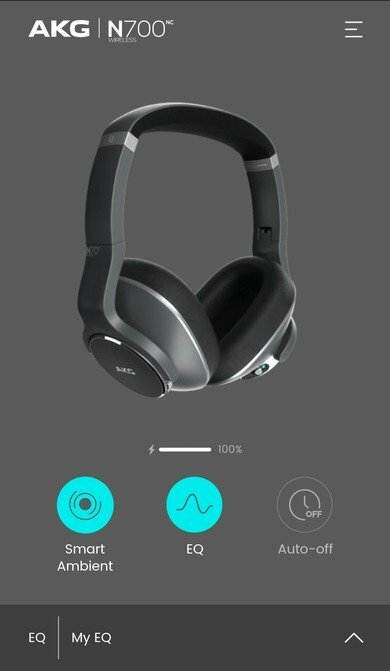 Like most Bluetooth headphones, these headphones have too much latency to watch video content or gaming. They also above-average default latency for Bluetooth headphones and don’t support any low latency codec. However, they can be used passively with the 1/8” TRRS cable which will get rid of the latency issues. The AKG N700NC are very versatile noise canceling over-ears that are well-built and comfortable for long listening sessions. Their ANC feature blocks a decent amount of noise but isn’t on par with other high-end noise canceling headphones like the Bose QC35 II or the Sony WH-1000XM3. However, they have great audio reproduction and sound great, on top of having great wireless range. 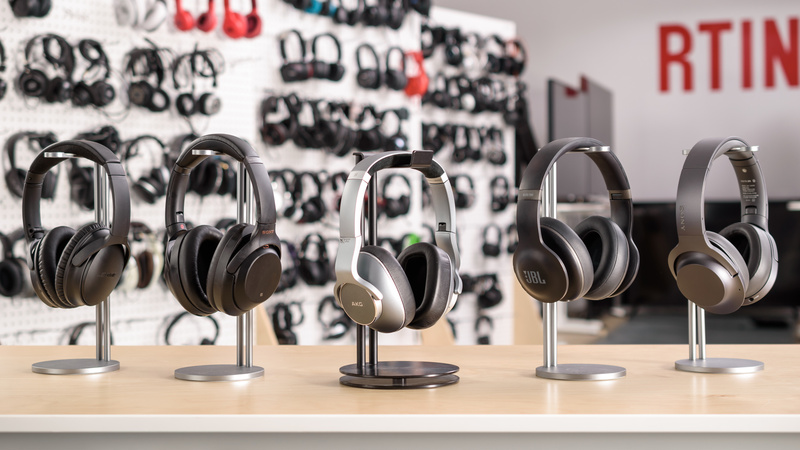 See our recommendations for the best noise cancelling headphones, the best noise cancelling over-ear headphones and the best wireless over-ear headphones. 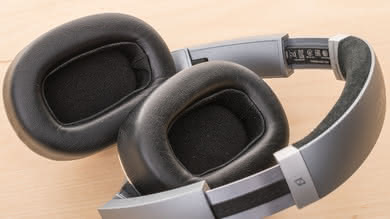 The Bose QuietComfort 35 II are better headphones than the AKG N700NC. 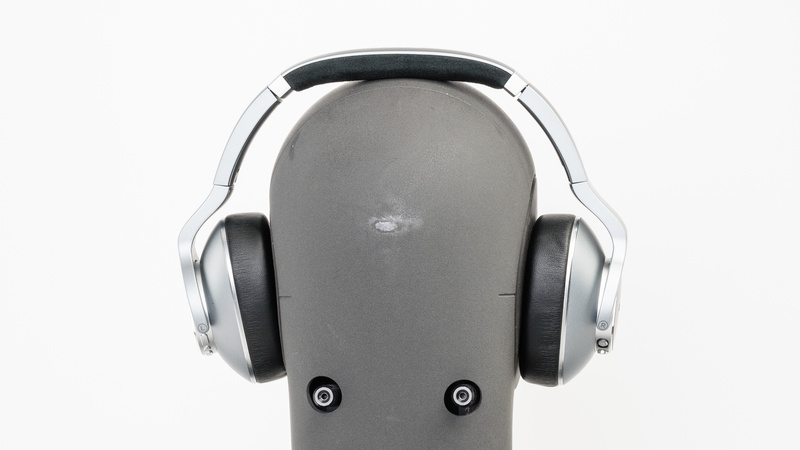 They are one of the most comfortable headphones we’ve ever tested, and they have better noise isolation. Both headphones have a neutral sound, but the AKGs do have an EQ in their compatible app to customize the sound to your liking, which the QC 35 II lacks. 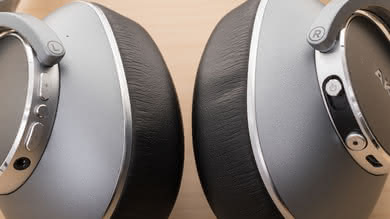 However, you can connect the Bose QC 35 II to 2 devices simultaneously which can be convenient. The AKG N700NC and Sony WH-H900N are very similar headphones, and both perform well. The AKG have slightly better isolation and have a very useful Auto-Off timer, which is convenient since they have worse battery life than the Sony H900N. The Sony compatible app is also more complete and offers more customization options. However, if you use the headphones wired, the AKGs are more versatile and have audio and microphone support, while the Sonys only have audio. The WH-H900N have NFC and support aptX, but both headphones still have too much latency for video content or gaming. The AKG N700NC are better headphones than the JBL Everest Elite 700. The earpads have better cushioning and don’t feel as stiff as on the Everest Elite 700, and they have a more neutral sound. On the other hand, the JBLs isolate more ambient noise and leak less, which makes them a slightly better choice for commuting. The JBL app is also very complete and offers lots of customization options like an EQ, presets, and ANC control. The JBL Everest Elite 700 are about half the price of the AKGs so they might offer more value for your money. The AKG N700NC are overall better headphones than the Audio-Technica ATH-DSR9BT. The AKG are noise cancelling headphones that are decent at every use case, on top of having a very good audio reproduction. They offer about the same battery life, but take half the time to fully charge, which is nice. The AKG can also be EQ’ed in their app and be used wired with phones. On the other hand, they feel a bit more plasticky than the very well-built Audio-Technica. Overall, the N700NC will offer better value. Decent for mixed usage. Their great audio reproduction makes them good critical listening headphones and the nice ANC features lets you focus on your audio content. They isolate a decent amount of noise which might not be ideal for commuting but still good for the office. They are fairly tight and stable over-ears for sports, but their bulky design might not be the best for physical activities. Their wireless design offers too much latency for watching TV and gaming, but they can be used wired to get rid of the latency issues. Great for critical listening. They have a very good audio reproduction that is flat and even. They are also quite comfortable for long listening sessions and perform consistently across our different test subjects, including people with glasses. However, since they are closed-backs, they don't have a speaker-like soundstage. Decent for commuting. Their ANC isn’t the most powerful, but it does a good job to reduce ambient chatter. Unfortunately, they don’t isolate lower frequencies as well which is where engine rumbles sit. They have a comfortable fit for long trips and a decent 18-hour battery life for long flights. Decent for sports. They are fairly tight on the head and feel stable for most physical activities. However, since they are over-ears, you might sweat a bit more wearing them during sports, and their bulky design might not be the best for some exercises at the gym. Good for office use. 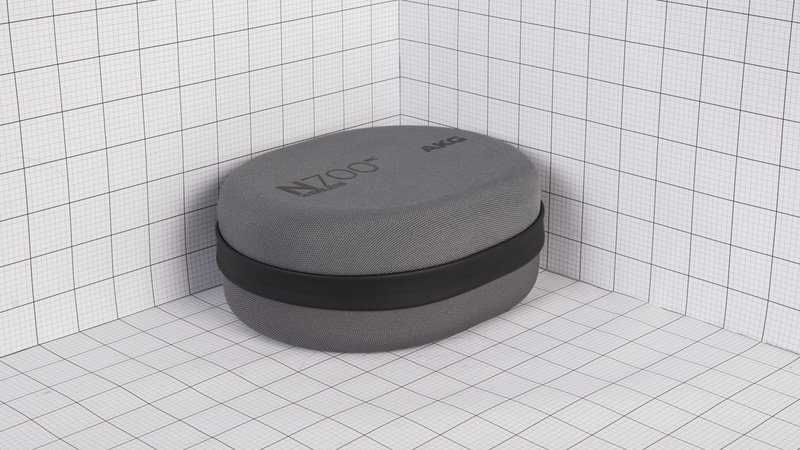 The ANC feature isolates enough noise for an average office, and you’ll be able to concentrate on your tasks, especially if you have audio playing. They have a good battery life that will last you a couple of days without a problem. They are comfortable for a whole day of work, especially if you take some breaks here and there. You also won’t bother colleagues around you if you don’t blast your music. Sub-par for TV. While they are comfortable and have a well-balanced sound signature, their wireless design has too much latency for video content. You’ll have to use them wired if you want to see the content match what you hear, but you’ll be limited by the range of the cable. Sub-par for gaming. They have too much latency if used wirelessly and won’t be a good option for gaming. If you use them wired, you’ll be able to use the in-line microphone which should be better than the mediocre integrated one but won’t be as customizable as other gaming headsets we’ve reviewed so far.